With the resurgence of mid-century design, homeowners are not only interested in modernizing the interior of their homes, but their outdoor spaces as well. It seems that the trend in concrete design is leaning toward a “less is more” attitude. 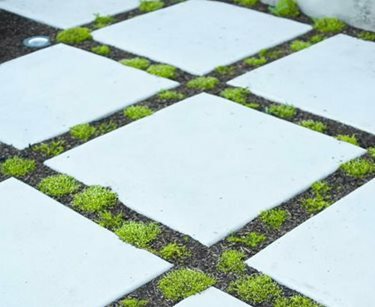 Poured in place pavers with wide joints filled with gravel or plants have become incredible popular. Brooke Hansen of Ag-Trac Enterprises in Logan, UT uses this approach to break up large areas in the landscape. “It’s a nice way to introduce pattern to an otherwise uninteresting space,” she explains. 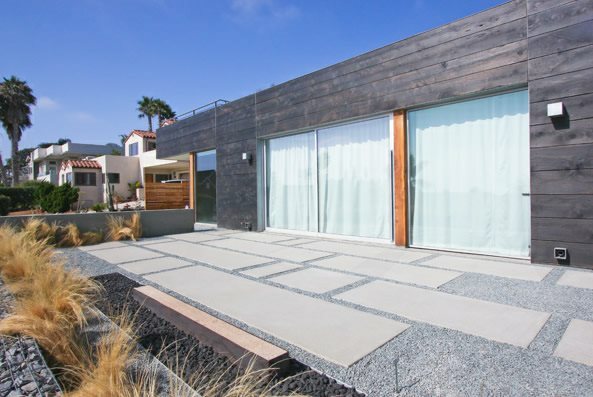 The straight lines and rigid arrangement of these poured pavers harmonize well with modern architecture. Here, Scotch moss has begun to spread in the spaces between the concrete pads, it will fill in entirely in a few seasons. 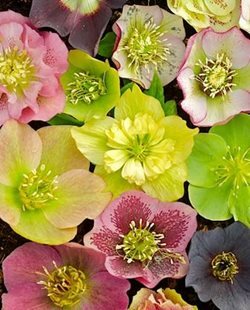 Scotch moss has a vibrant, nearly chartreuse color that is perfect for modern landscapes. Another project from Ag-Trac, this elevated patio has bands of grass intersecting the surface every few feet. 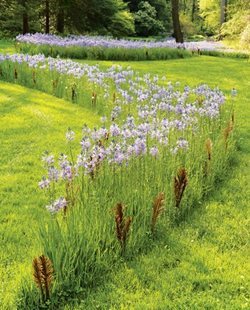 In this case, the grass strips serve to break up the monotony of the concrete and to tie the patio in with the rest of the landscape. 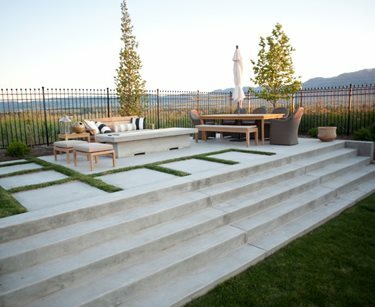 “The grass is simply watered with the overspray sprinklers and cut with a mower or hand trimmer,” says Hansen, “At first I was worried that the heat absorbed by the concrete would keep it from thriving, but it has done very well.” Notice that she choose to omit the bands in the main entertaining and dining space to allow for easy movement of furniture. 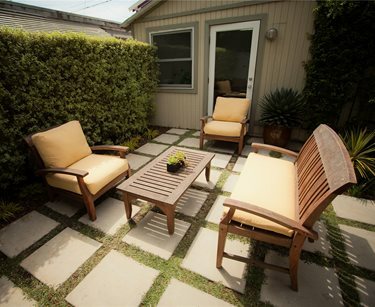 For some this style of patio is selected for other reasons than just how cool it looks. 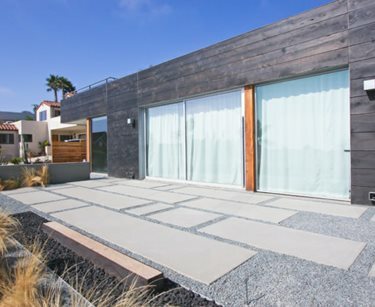 Micah Helkenberg, owner of DC West Construction in Carlsbad, CA, explains that on his projects they provide necessary permeability. “Being so near the ocean, there’s a drainage code that we have to comply with. This type of patio helps to limit pollution caused by run-off,” he says. Beneath the concrete pads and gravel is a seepage pit that collects excess water and allows it to reenter the ground supply. This type of concrete paving requires extensive formwork. Forms are what create the shape of the concrete. 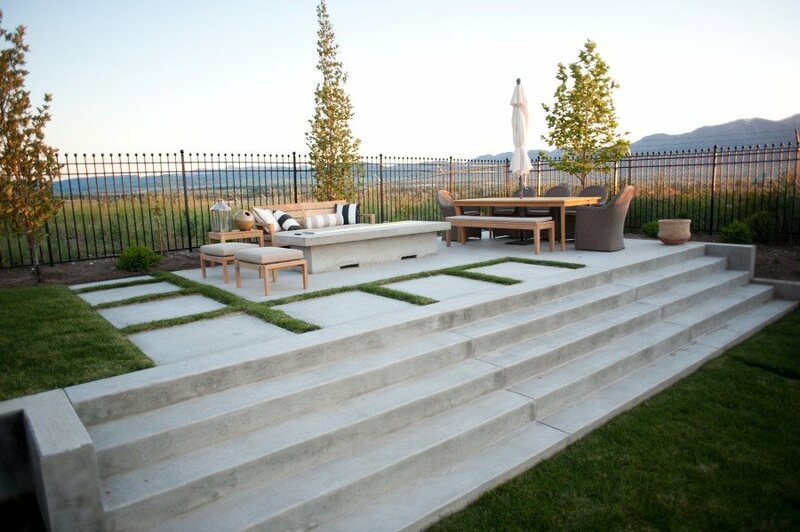 Typically, with a monolithic concrete patio, only the outside edges would require forming. However, when pouring many smaller sections of concrete each area must be formed separately. This process requires more forming materials and a lot more labor. Helkenberg charges between ten and fifteen dollars a square foot for poured-in-place pavers depending on the complexity of the formwork. Unique designs don’t belong only in the backyard, here the concept of modern cast-in-place pavers is carried over to the front of this home. Rectangles of gray concrete running perpendicular to each other create a playful path to the front door. 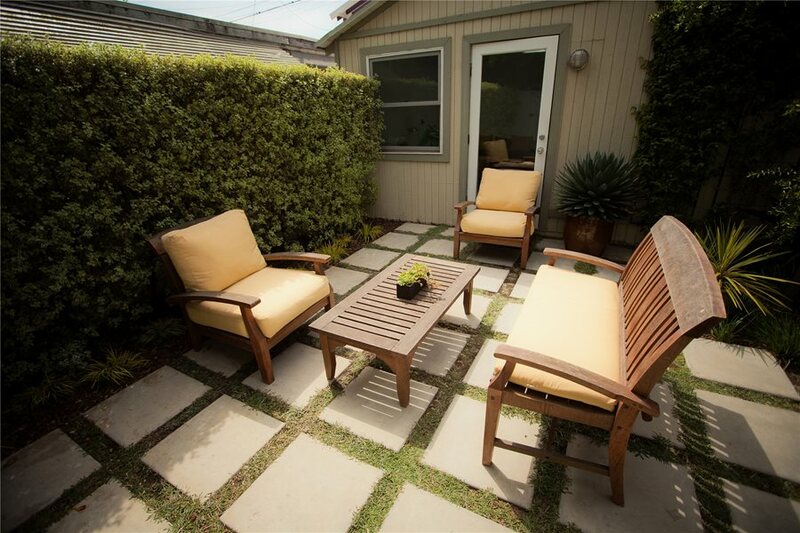 “We made sure the pavers were wide and gracious enough to be a nice entrance,” explains Ive Haugeland of Shades of Green Landscape Architecture in Sausalito, CA. The space between the pavers was filled with gravel to add texture. 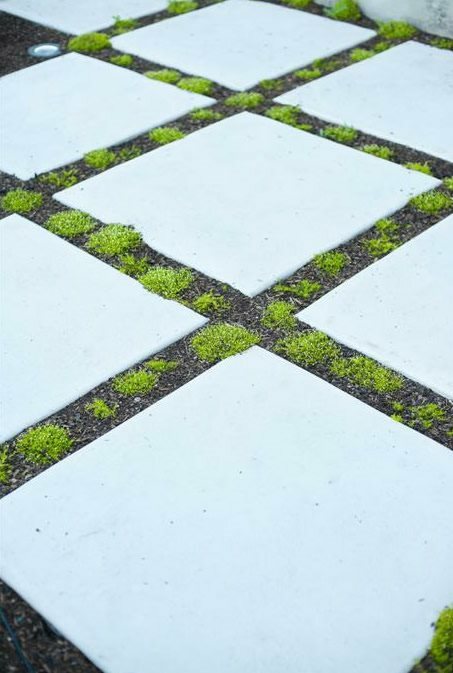 The smaller size of these concrete pavers creates a bold look similar to a game board. A low-maintenance groundcover grows in wide joints between the pavers. 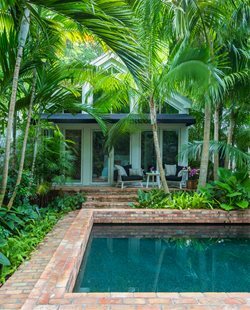 This is a great way to add pattern and greenery to a space that is otherwise lacking. The scale of the pavers also works well in this small space where oversized pavers may have looked out-of-place. Just be warned that this many joints makes it more difficult to move furniture around.